Madonna ProActive's approach to health and wellness combines expertise along with customized support to help members achieve their own personal wellness goals. 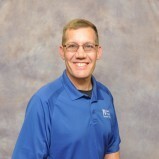 Jason has a degree in Sports and Fitness Management from Doane College. He is a Certified Strength and Conditioning Specialist and Certified Personal Trainer through the National Strength and Conditioning Association. Jason has been in the field since 2004 with experience at World Gym, Lincoln Racquet Club, Lincoln Orthopedic Physical Therapy. Colorado Athletic Club and ProActive. Jason has worked in a variety of areas at ProActive including some of our medical fitness programs. He enjoys working with people of all ages and abilities with a special interest in post-rehab, beginners and special needs. Lisa Graff, MS, RD, LMNT, ACSM-CPT is a registered dietitian and licensed medical nutrition therapist, as well as a certified personal trainer. She has experience in the areas of weight loss and weight management, pregnancy and lactation nutrition, cardiovascular health, diabetes management, food allergies and intolerances and more! Samantha is the Fitness Manager at Madonna ProActive. She has a master’s degree in Nutrition and Health Sciences with a specialization in Exercise Physiology. She is a certified Exercise Physiologist by the American College of Sports Medicine and Level 1 Sports Performance Coach through USA Weightlifting. Samantha’s training philosophy focuses on mobility and functional movements that translate into everyday life. The programs she develops are individualized and unique to meet each client’s needs. Samantha enjoys working with clients of all ages and abilities, including athletes and those just starting their exercise journey. Jessica has a degree in Exercise Science and Recreation Management, with an emphasis in Recreation Therapy from the University of Nebraska – Kearney. She is a Certified Exercise Physiologist through the American College of Sports Medicine and holds a Functional Movement Systems Level 2 Certification. Jessica has experience working at various facilities including Good Samaritan Hospital, National Sports Center for the Disabled and Prairie Life. She has experience working with individuals with various degenerative diseases. Jessica is eager to help her clients correct movement dysfunctions and help them succeed in recreational activities. Cole has a degree in Exercise Science from the University of Nebraska-Lincoln. He is a Certified Personal Trainer through The National Strength and Conditioning Association. Before joining the ProActive team, Cole has experience working at various facilities including Exstrom Physical Therapy, Tabitha Rehabilitation Facility and Prairie Life Center. Cole has co-authored several fitness articles that were published in national fitness magazines. Working with a wide variety of clients, Cole enjoys training anyone focused on goal driven workouts. Over the past 20 years, he has had the privilege to work with unique clients, ranging from wheel chair bound to collegiate and professional athletes. Cole’s individual client based focus can be seen through his creative and innovative program design. Haley has a degree in Nutrition and Health Sciences with a focus of Nutrition, Exercise and Health Sciences from the University of Nebraska-Lincoln. She also has a degree in Dietetics. She is a Certified Personal Trainer through American Council on Exercise and has experience working with cardiac patients. Haley enjoys working with clients of all ages and abilities, and strives to create a motivating and creative approach to program design. Karen has a degree in Recreation from the University of Nebraska-Lincoln. She is a Certified Personal Trainer and Certified Group Exercise Instructor and also holds Senior Fitness and Orthopedic Specialty certifications, all through the American Council on Exercise. A life-long resident of Lincoln, she has over 35 years of experience in the fitness industry. She has previously worked at the YWCA, Bryan Hospital, The Cottonwood Club and The Lincoln Racquet Club. Karen specializes in working with mid-life and older adults, novice exercisers and those with weight issues. Her goals are to educate, motivate and empower each client and to provide safe, efficient workouts in a non-threatening manner. 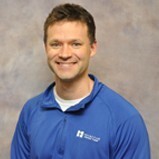 Anthony has a degree in Sports Science with an emphasis in Cardiac Rehab and Athletic Training from Briar Cliff University. 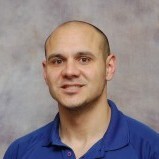 He is a Certified Strength and Conditioning Specialist through the National Strength and Conditioning Association. With a background in athletic training coupled with more than ten years of experience, Anthony enjoys working will all populations and abilities. 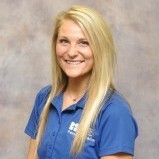 Brittany has her Bachelor’s of Science in Corporate Recreation and Wellness with a minor in Nutrition from Northwest Missouri State University. She is a certified Exercise Physiologist through the American College of Sports Medicine. Brittany’s experience includes working with individuals with various types of disabilities, along with high school and collegiate athletes. Brittany was a track athlete during college, so she enjoys working with individuals looking for a challenge. She is eager to help her clients through their fitness journey by providing a unique and motivational program. Russ is a Certified Personal Trainer through the Aerobics and Fitness Association of America (AFAA). He comes to Madonna ProActive after a successful 28 year career in the Armed Forces. While in the Armed Forces one of his jobs was the Marathon and Winter Biathlon coordinator/trainer for Nebraska. He has personally competed in, and completed 28 Marathons and 4 Winter Biathlons. To prepare for these events he trained with U.S. Olympic Athletes. Russ has coached local youth (Elementary to High School) in numerous sports. Russ has always enjoyed physical fitness and wants to share his passion with others. He enjoys designing exercise programs for specific client situations and goals.